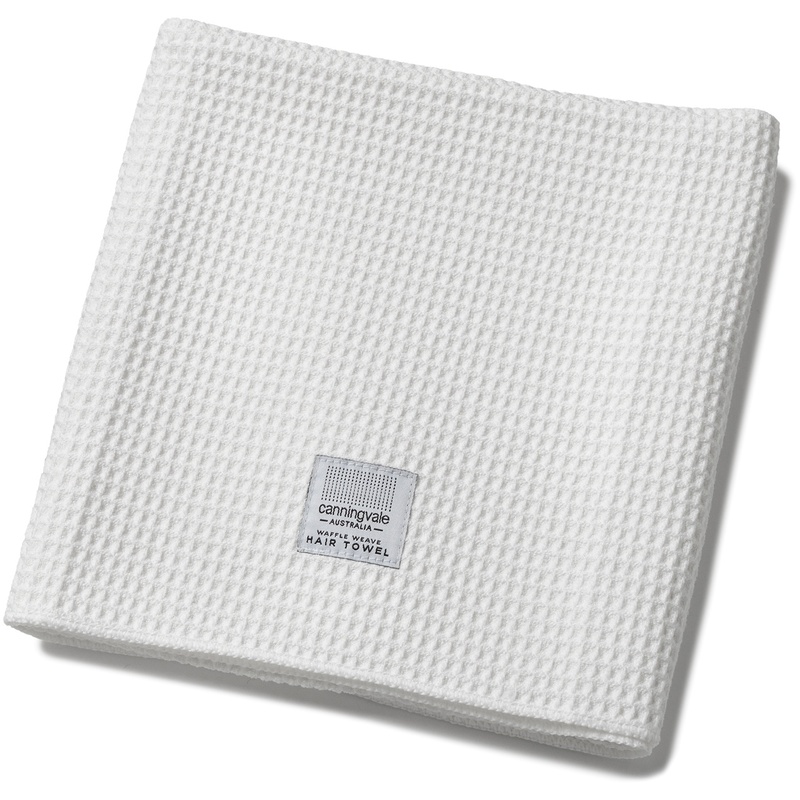 Canningvale's luxury microfibre hair towel draws water from the hair faster and more thoroughly than a regular cotton terry towel. The Waffle Hair Towel is now larger for your convenience, at 60 x 120cm. Made from a super absorbent material woven from ultra-fine microfibres, the waffle weave towel is not only more efficient, it is also gentle on the hair and skin. Faster hair drying also means less heat styling, fewer split ends, healthier less frizzy hair, and more time for you. Lightweight and packed in a convenient reusable bag, your luxury microfibre hair towel is ideal for everyday use at home, workouts at the gym, or as a compact travel towel. For the same reason you wouldn't use a bath towel at the beach, or a tea towel to wash your face, you shouldn't be using a regular terry bath towel to dry your hair. You have a towel you use for your pets, one you take to the beach, one for your dishes, one you use as a picnic blanket, one to dry yourself after a shower, one to wash your face, one to dry your hands and a mat for your feet. It only makes sense that you hair should have its own towel too. Microfibre (80% polyester, 20% nylon). Warm hand or machine wash with like colours. Do not use fabric softener. Avoid oxidising/chlorine based bleaching agents. Avoid use of fabric softeners and detergents containing optical brighteners. Warm tumble dry. Do not iron or dry clean.